Nothing makes my inky heart pound more than a good vintage inspiration photo. I shoot right back to those heady days of Walnut stain and distressed edges. 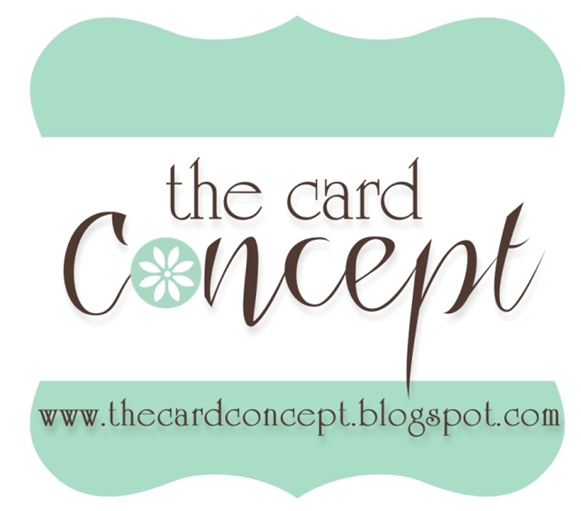 At The Card Concept this week we have the most delicious vintage image to inspire you, take a look!! This is the second time in a row the inspiration image has given me a clear idea of the materials I would use. The suede heart in the image is so gorgeous.........I knew little wool hearts would be making an appearance. They were cut with SSS Heart Parade dies. The two patterned hearts are from the coordinating stamp set. The rust heart is stamped with TH Rusty Hinge. 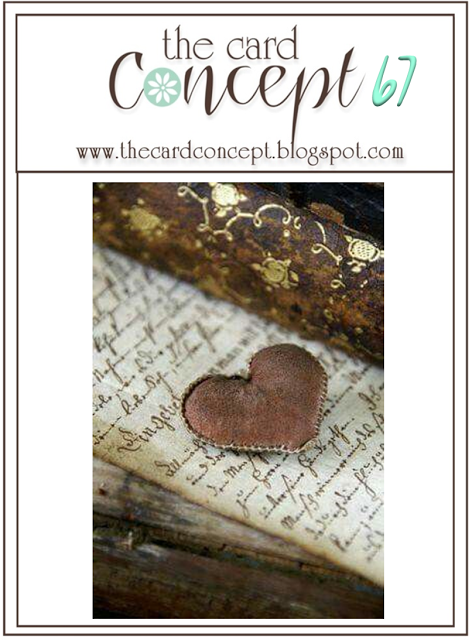 Once stamped, I pressed the heart into a Versamark pad, then covered it liberally with clear embossing powder. While the embossing powder was still hot and sticky, I covered it with another coat of embossing powder. The gold patterned heart was first gold embossed, then clear embossed in the same way as the rust heart. The papers I have used are very old! 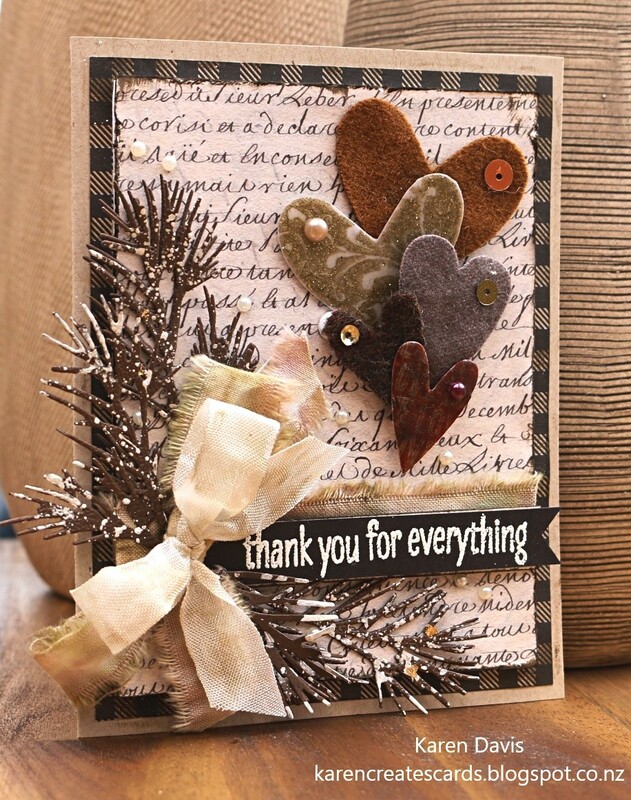 The branches are from Tim Holtz Mini Holiday Greens. They are splattered with Golden White Fluid Acrylic paint. The Sentiment is from an old Hero arts stamp set. I have used manilla card for the base. The first bow is ripped white fabric rolled in Walnut Stain and water, and the cream bow is cream ribbon treated with a dilute Walnut Stain solution. Karen, this is so beautiful! I love the hearts and the snow on the pine branches! This has a wonderful heartfelt quality to it! This is so gorgeous, Karen. So many beautiful details that all work so well together. Beautiful! What a great take on the inspiration photo! This is absolutely spectacular, Karen! Love those snowy branches and your wool hearts are fabulous. Such a dreamy card. WOWSA! 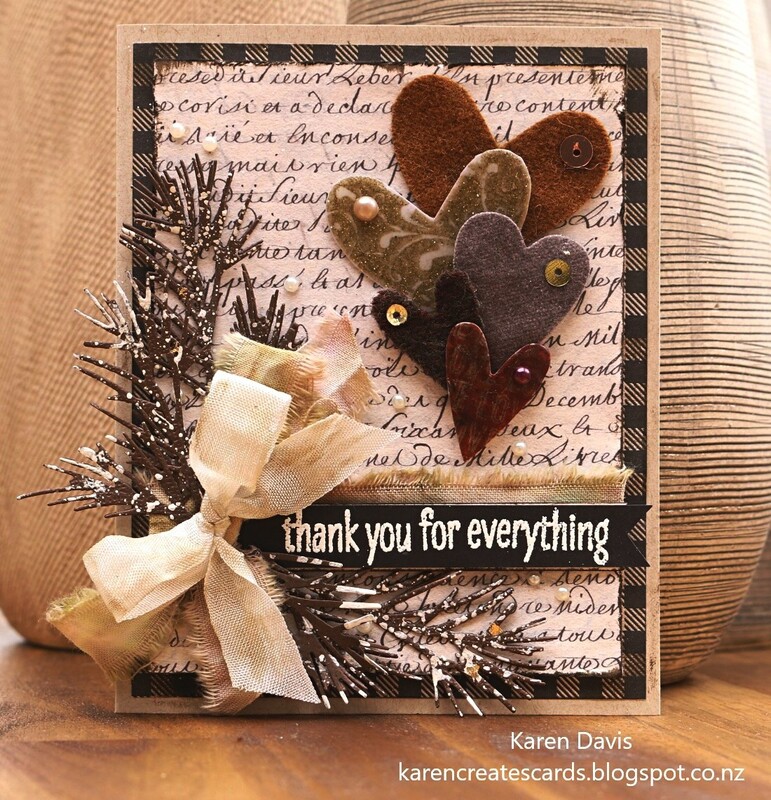 I just love this gorgeous card! The hearts, the pine swigs, just everything!